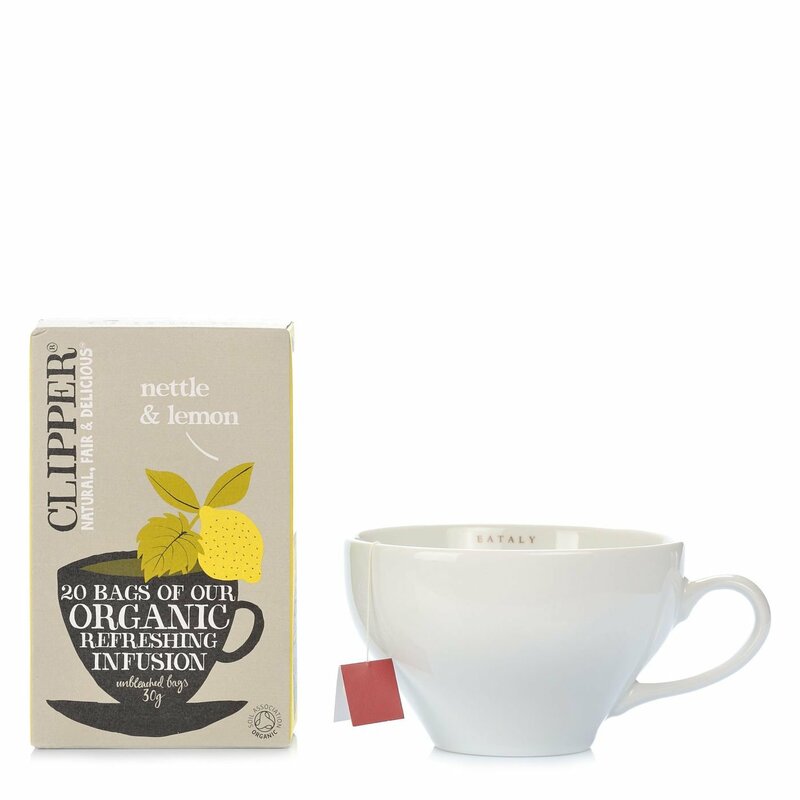 Clipper Nettle and Lemon Infusion is made from the finest organic ingredients, with added lemon zest. A refreshing citrus flavour with all the beneficial properties of nettle, a natural detoxing agent rich in iron and mineral salts, including magnesium, calcium and potassium. A relaxing after-dinner drink served hot, natural or sweetened to taste. Ingredients nettle*, natural lemon flavouring, lemon rind* (1%) For more information on product labels, please contact our Customer Service department. The information on the labels of the products may vary for reasons beyond our control, therefore, there may be discrepancies between the information on the site and that on the products delivered. Please always check the information on the product before consumption or use.